Pope Francis spoke about the ongoing crises during a meeting with Catholic charity and humanitarian organizations working in Iraq, Syria, the neighboring countries and elsewhere to assist victims of the fighting and those who have fled. The meeting was sponsored by the Pontifical Council Cor Unum, the Vatican office that coordinates Catholic charitable giving. The purpose of the meeting was to share information about the crisis and the status of Christians and other vulnerable communities, the humanitarian needs, projects already underway and priorities for the future. Cor Unum reported that since 2011, fighting in Syria and Iraq has claimed more than 250,000 lives and injured more than 1 million people. More than 12 million people in Syria and more than 8 million people in Iraq are in need of humanitarian aid. More than 7.6 million people are displaced within Syria and more than 3 million are displaced in Iraq. 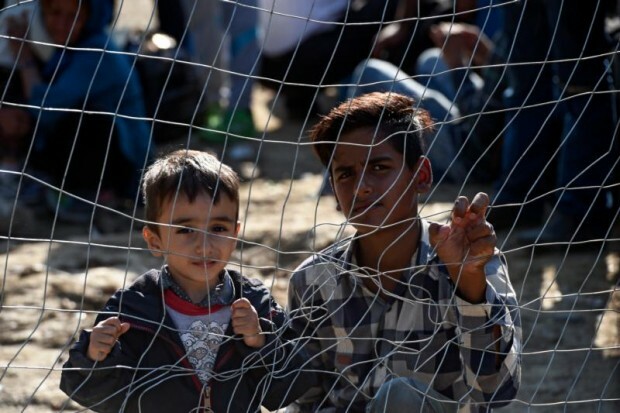 Some 4 million Syrians have managed to find refuge in the Middle East, with 1.9 million being hosted in Turkey, 1.1 million in Lebanon and about 600,000 in Jordan, Cor Unum said. The pope urged the Catholic aid agencies to continue their commitment to helping in “this ocean of pain,” and asked that they pay particular attention to the needs of families, the elderly and children. It would be good, he said, to make sure that children are able to get some kind of schooling, which is key to them having a decent future. In both Syria and Iraq, he said, Christians and Muslims have lived together for centuries with mutual respect. Now, he said, “the very legitimacy of the presence of Christians and other religious minorities is denied in the name of a ‘violent fundamentalism claiming to be based on religion,'” which is the position of the Islamic State forces. How about you call up the Muslim world to convert to the Church of Christ and cast off the sins and error of Islam? A call to mercy and conversion to the true faith would be nice change from you constantly insisting that Catholics tolerate evil to avoid offending evil people.